...oh god, no. Not him. 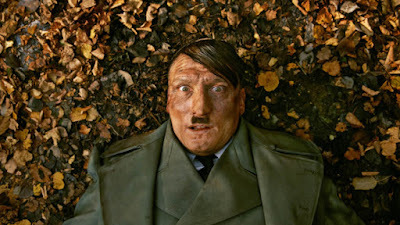 Yes, Hitler's back, and the Germans have got him (again) via this new movie based on a best-selling novel of a few years previous. Sure, the idea of this -- Adolf Hitler suddenly returns to earth just as he left it. But the world is a different place today, so how will he fit in? -- is certainly a crazy one. But before you say, "Oh, this is just stupid sensationalism trying to make a quick buck," remember that Donald Trump may be our next President. 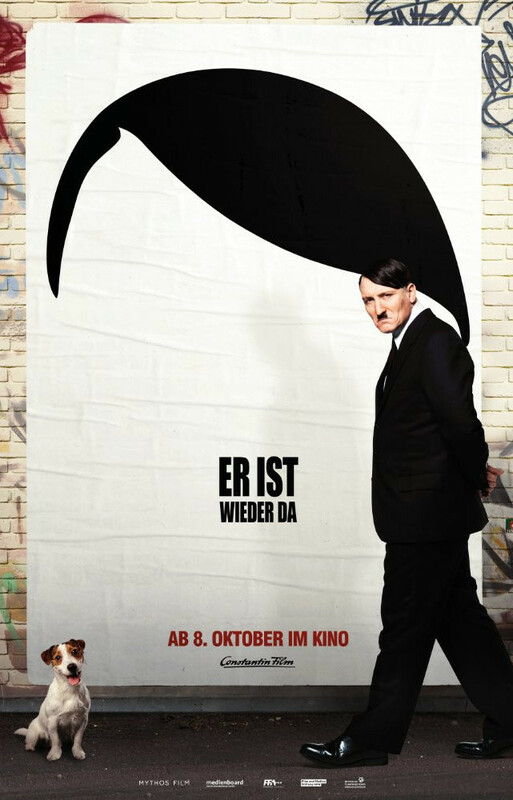 And even though this film was made well prior to his "candidacy," LOOK WHO'S BACK (Er ist wieder da is its original German title) speaks as much to us here in the USA as it does to Europe and specifically to Germany/Austria. The filmmaker is David Wnendt (shown at right), the guy responsible for one of last year's most transgressive movies, Wetlands, and he's gone one (or maybe twenty) better with this new work which holds up a mirror not simply to the character of our Adolf but to the German populace today (and by extension Europe and all of Western society). It ain't a pretty sight, but it's a damned funny one: fresh and satirical and full of ironies big and small. And the further into the film we get, the funnier and more pointed it becomes. 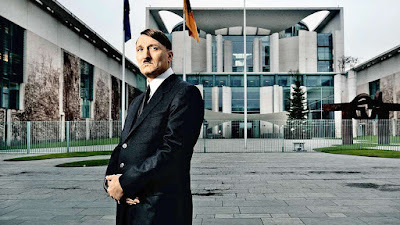 As Hitler adapts to this new world, he quickly finds his footing once again, this time using the current (and all too willing) media to further his plans. 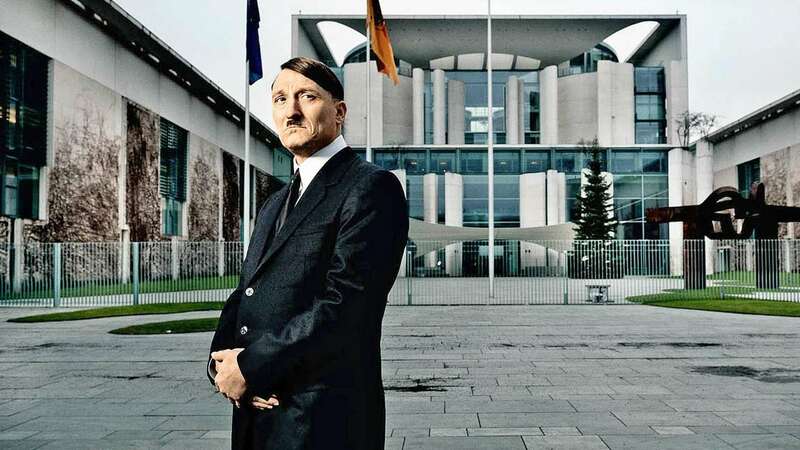 And of course the German populace -- many of whom don't know enough history to realize who this guy is and what he represents -- prove to be all too adoring acolytes. Look Who's Back is satirical, hilarious, occasionally shocking and full of both the expected and plenty of surprise. 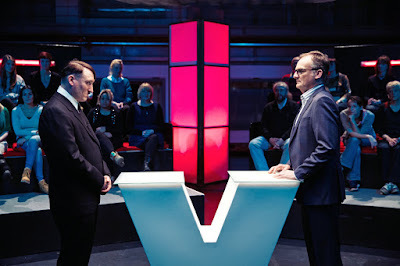 Hitler's come-down, along with the reason for it, is especially piquant and perfect, given what seems to move the general populace more than anything else these days. 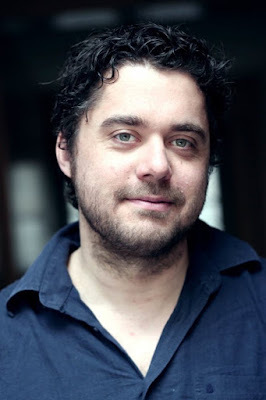 The cast is exemplary, beginning with actor who plays Adolf: Oliver Masucci (above and below), who captures the look, sound, feel and just about everything needed to bring Hitler to funny/queasy life all over again. The other name most familiar to me is German actress Katja Riemann, who plays the head of the TV station on which our boy makes his modern-day debut. I could go on ad nauseum, telling you why you must see this crazy miracle of a movie. But why ruin any more of its delights? So far as I know, the only place you can catch it currently is on Netflix. For this film alone, a subscription to the streaming arm of the service is, well, mandatory.